Potential vortices are a phenomenon of the field that is able to form structures. The most simple spacial structure is the sphere, which is, as we are dealing with an electromagnetic vortex, electrically charged. 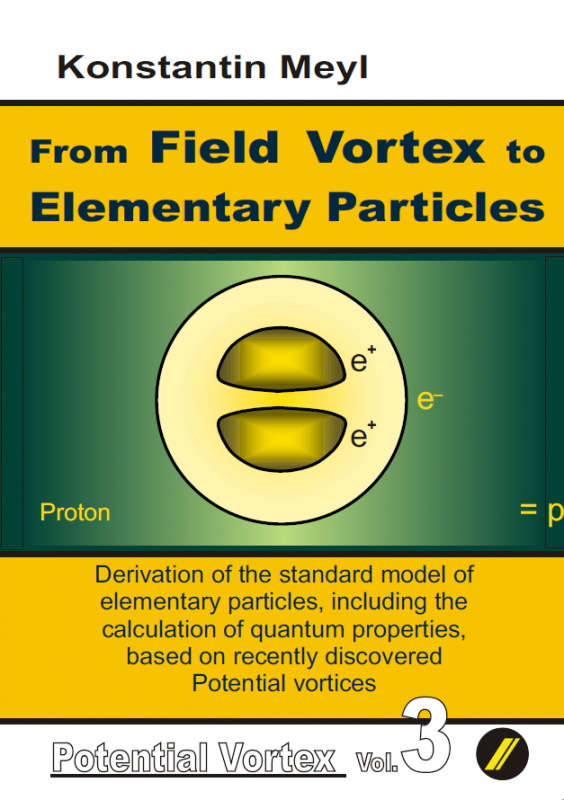 In this manner, the electron is derived as the elementary quantum as well as all particles composed of it. For the first time, quantum properties, such as mass, charge, spin and magnetic moment, of the most important elementary particles are calculated. The base for the calculation of the measurement values listed in the standard model is a theory of objectivity formulated by the author, after the theory of relativity has not been able to accomplish this. 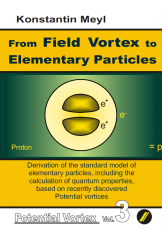 The quantitative proof for the existence of potential vortices is given by the high correlation between the calculated quantum properties and the known measurement values.